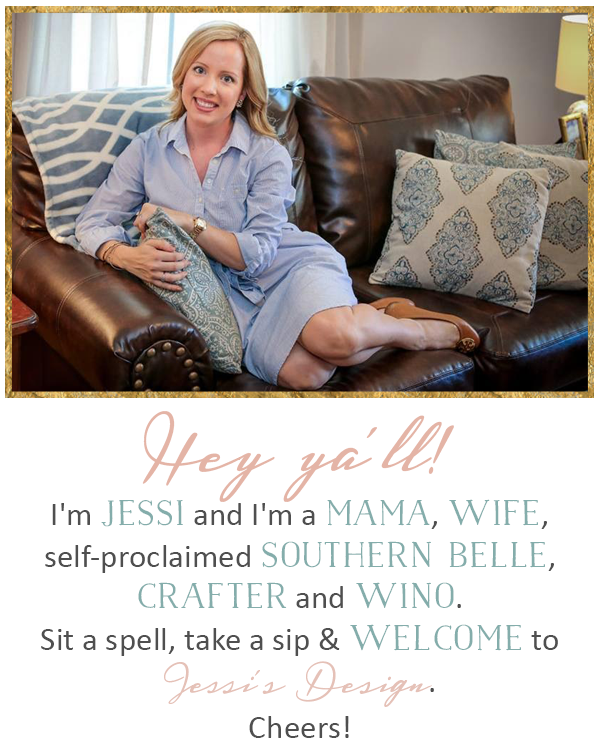 Jessi's Design: Christmas Card Reveal! I've also been brainstorming next year's Christmas tree theme too- yes not even kidding. I want a bigger tree so that we can use the smaller one we have now in a separate room. We are currently looking for our "forever home" so pre-planning is fun for me! 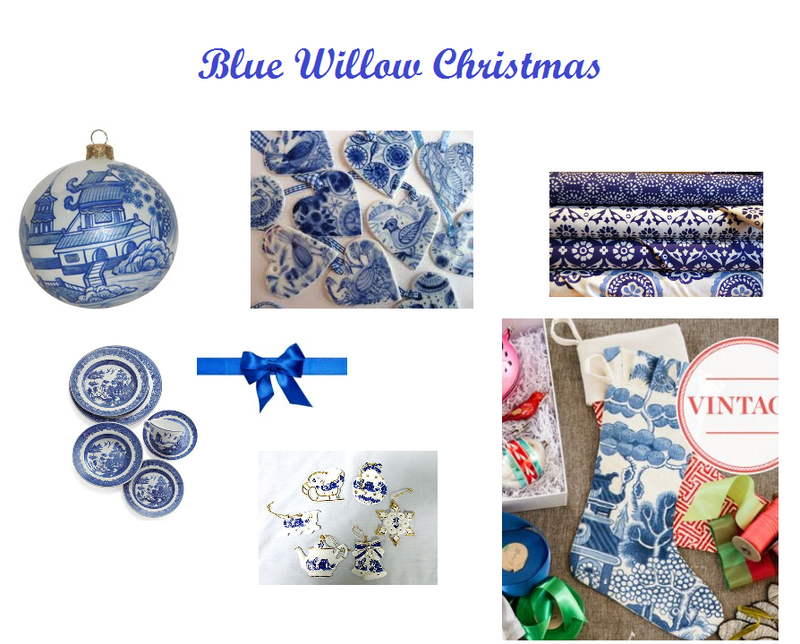 I was thinking about how much Blue Willow china and collectibles I have and how my blue & white collection is steadily growing (with yellow accents of course) and thought, why not a cute blue willow themed tree? 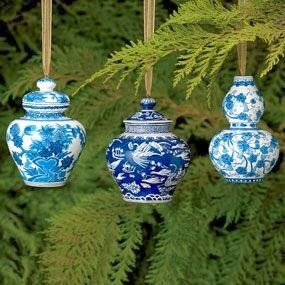 It could totally work and you could make a lot of the ornaments just by visiting your local antique shop! Pretty blue fabric for a tree skirt? Gold accents? Check & Check & done. (Too bad I have an entire year to change my mind) Anyway, Happy Mid-Week Ya'll!! Same to you my oh-so fav blogger!!! :) MUAH! 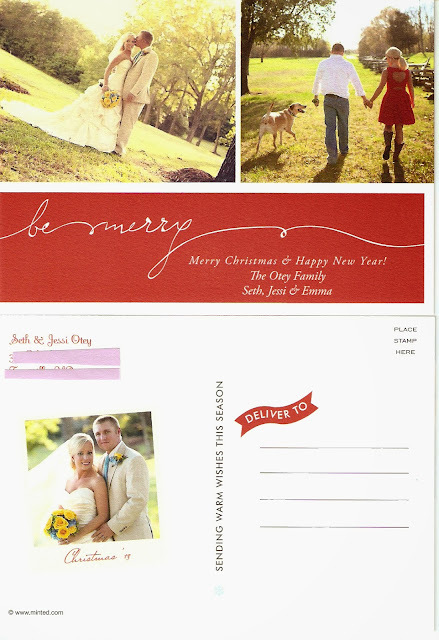 Love the Christmas Card, looks great!! I love how you did a mix of Wedding Pictures & something more casual - that red dress is so pretty!! Thank you! They were our engagement shoot photos! Your Christmas card is so adorable! I think using engagement and wedding photos is a good idea. I mean you take all those pictures to show off so why not use them, right?! That's what I ultimately told myself! :) We can do a holiday shoot every other year! The red dress makes it perfect! Love it. We did postcards last year and I loved them!! Too cute! I still used envelopes on some to add pictures! haha but I do like the postcard look! Loved your cards, we picked wedding photos because hey, it only happens once! I know right?! I'm not sure why I was so torn! That Christmas card is so cute! And how great that it's a postcard as well! Try to save paper- we did that for our save-the-dates too! so so cute! love your tree idea---that will be gorgeous! Love your cards and love the idea of the blue willow china!! I love blue at Christmas, we use blue lights outside, we don't get a lot of positve feedback about it but we love it! Well keep doing it because not many people do! haha love it! LOVE how your Christmas cards turned out! Looking at everyone's they are posting makes me a little bummed we didn't do anything this year! And don't worry - I'm totally preplanning for next year, too. I'm thinking we will be moving out of the city in the next year so we might be in a REAL house next Christmas! Very cute! Brides pay way too much to look beautiful and pay so much for a photographer! You deserve to use those for the next ten years! :) I ordered mine from minted.com and half of them were blurry! Twice! Did you have that problem? We did the same thing with ours - it took me a bit to decide, but dince we paid for them, we decided to go for it! Yours look great!